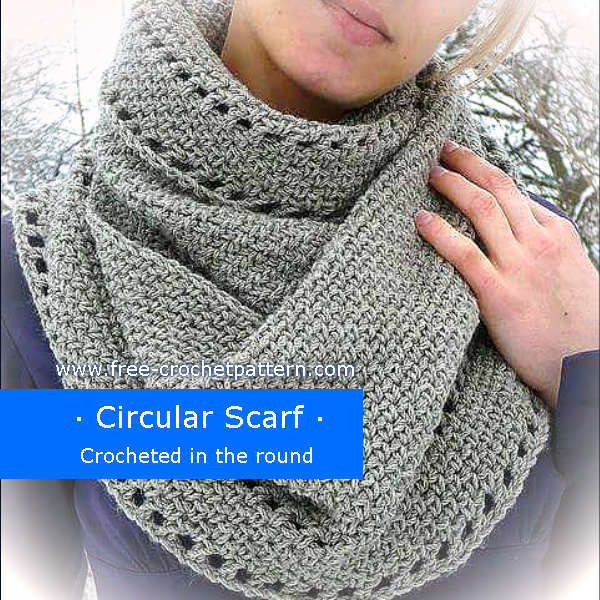 Circular scarf crocheted in the round. You can wear it in the different ways; hanging like a scarf or wrapped like a cowl. Very quick and easy to make, will keep you warm through the cold winter days. The height of the scarf is 25 cm, and the circunference, 165 cm. You can use acrylic, 50 g and a 5,5 mm hook. Crochet chain 211 and join in the first chain with a slip stitch, being careful not to twist your chain. Row 9-37 (or until desired width): repeat row 3.